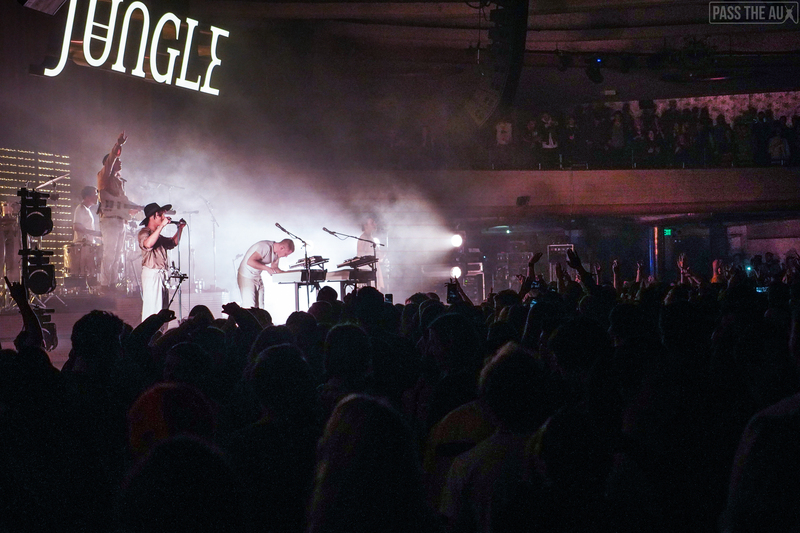 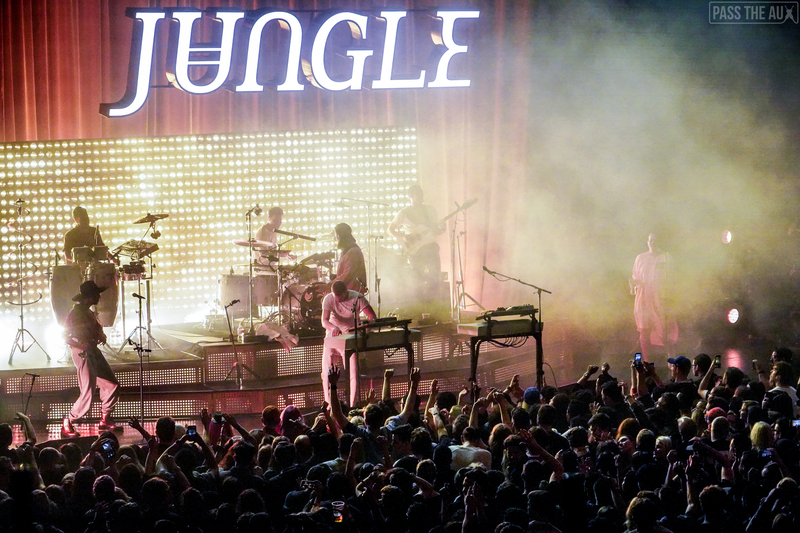 Everywhere English modern disco outfit Jungle goes, people can’t help but dance. 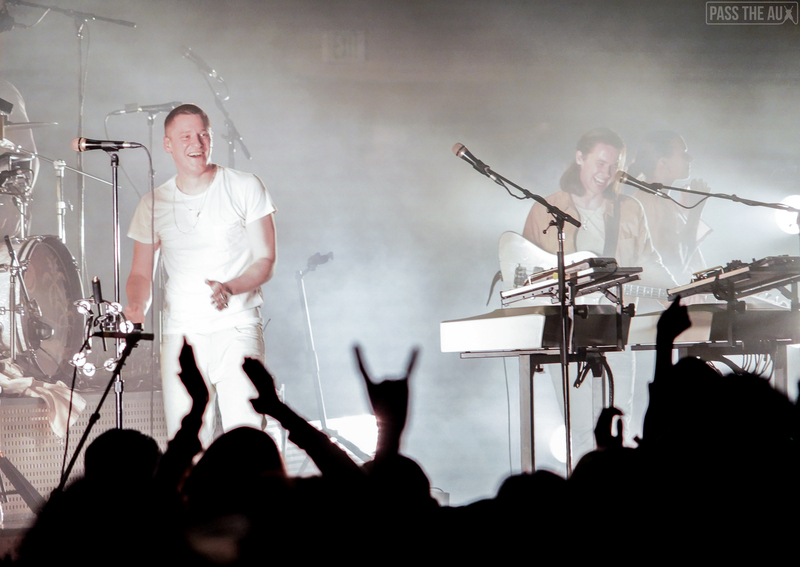 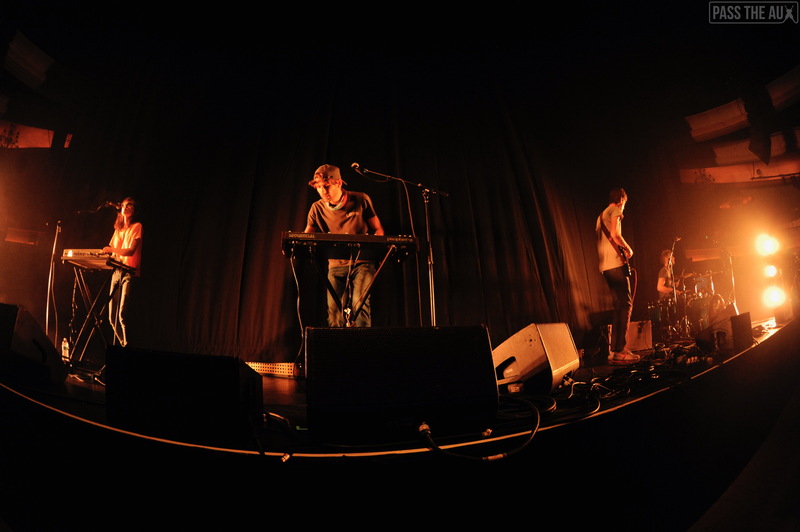 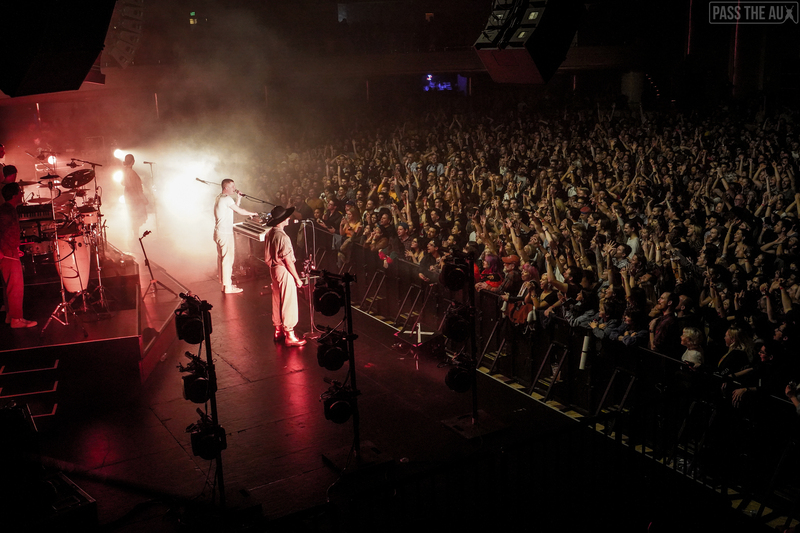 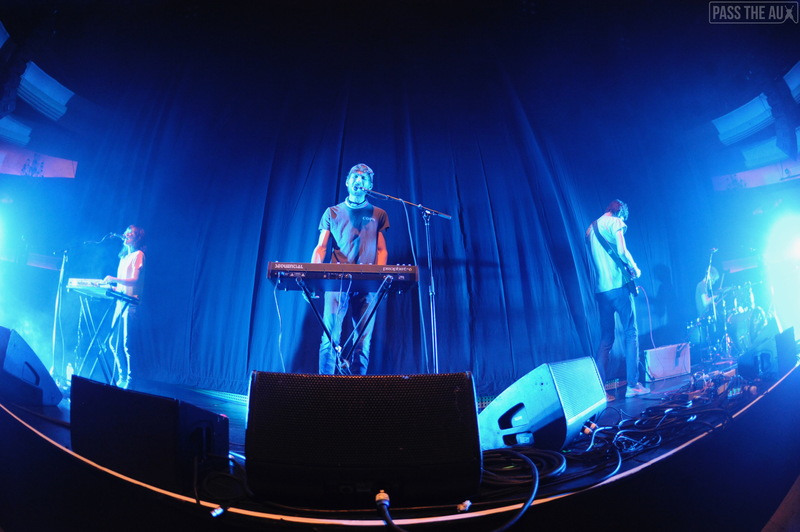 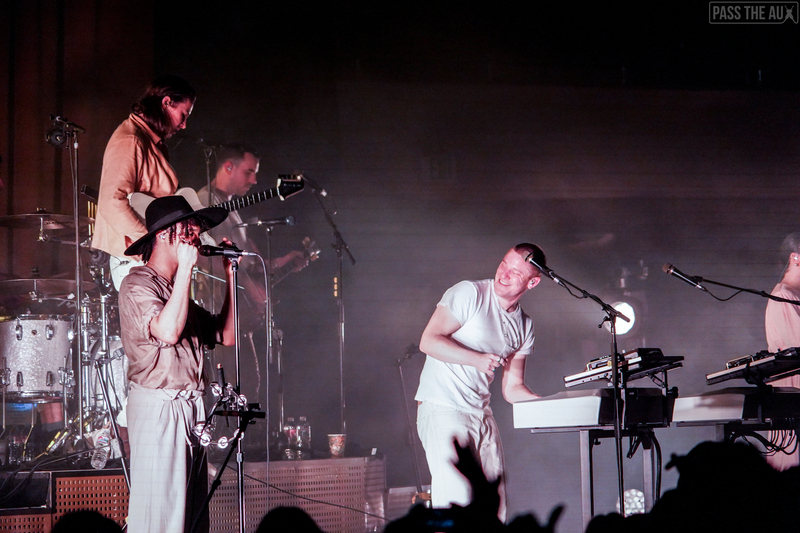 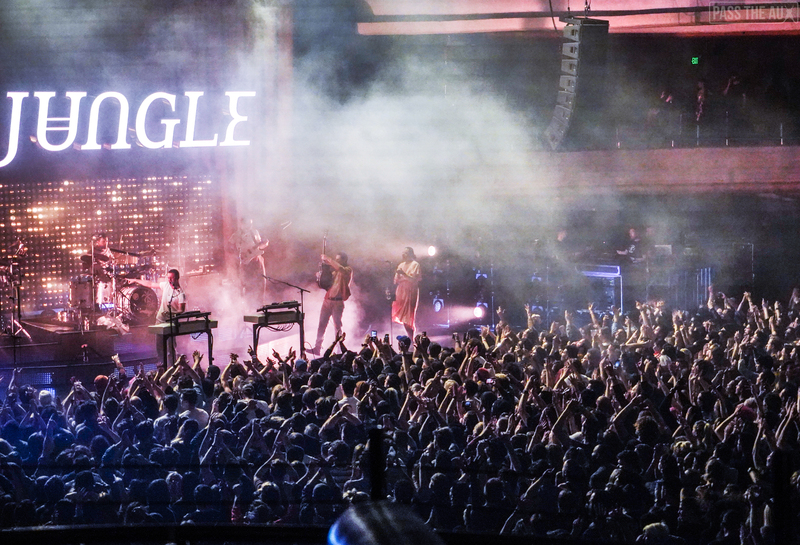 That was the case Friday at the Hollywood Palladium, when they turned up for a super sold-out show. 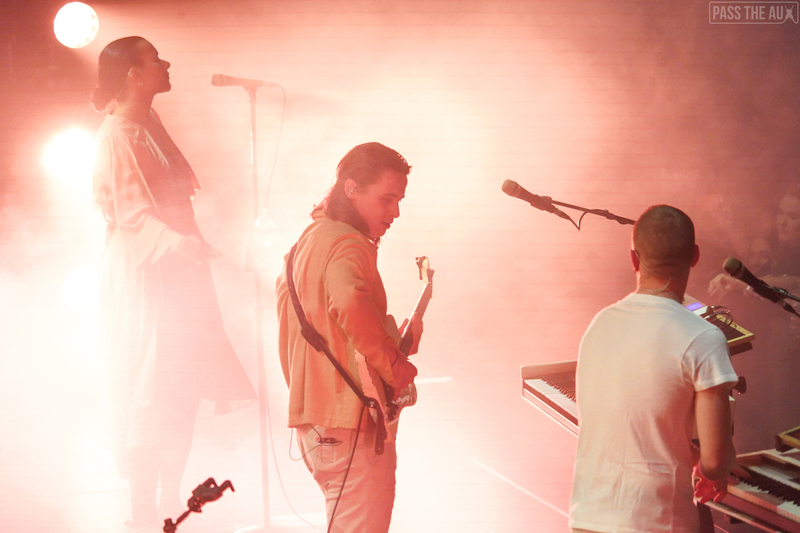 The group is touring in support of last year’s excellent For Ever, making those tunes sound all the more exquisite. 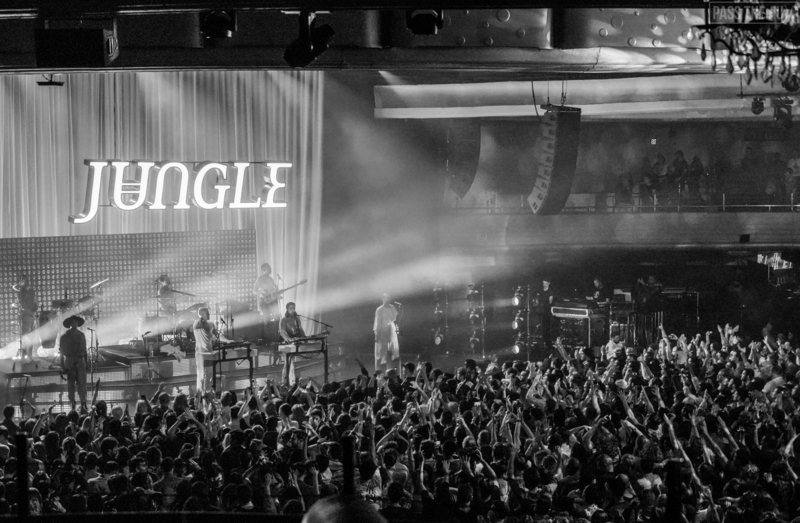 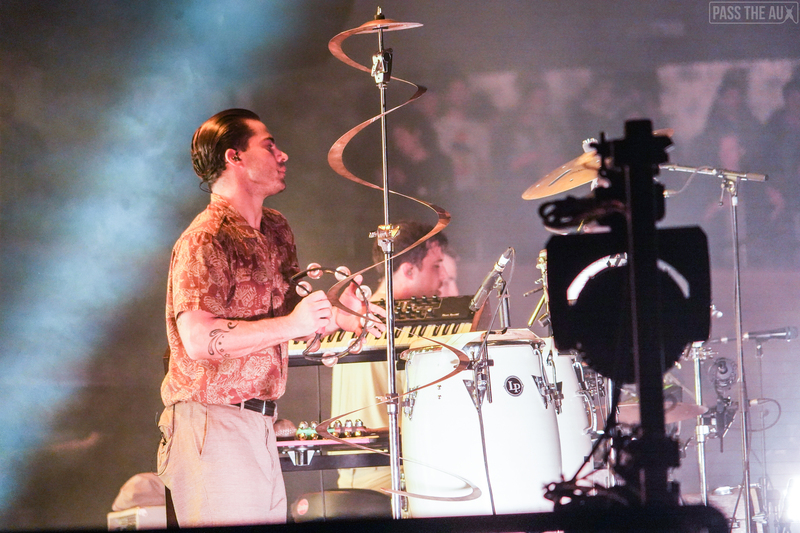 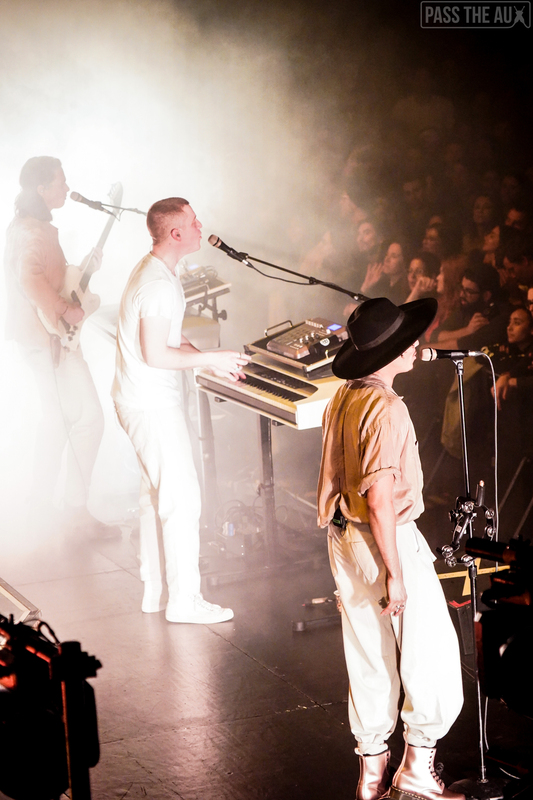 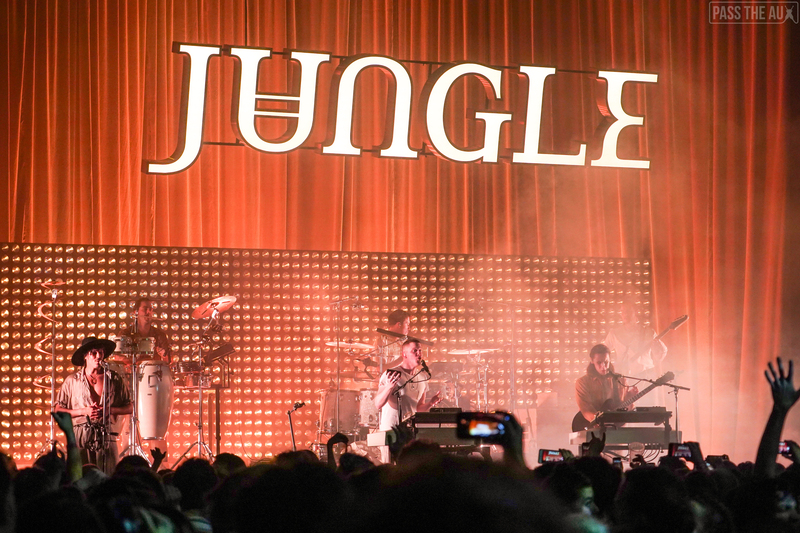 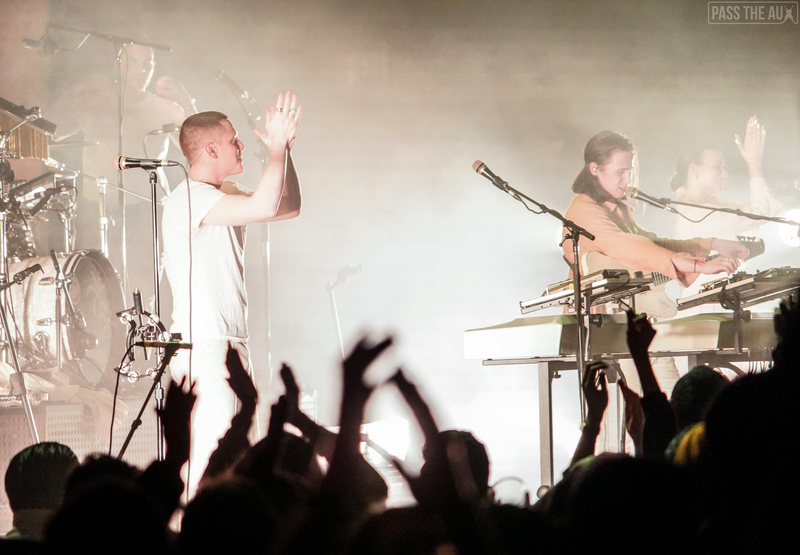 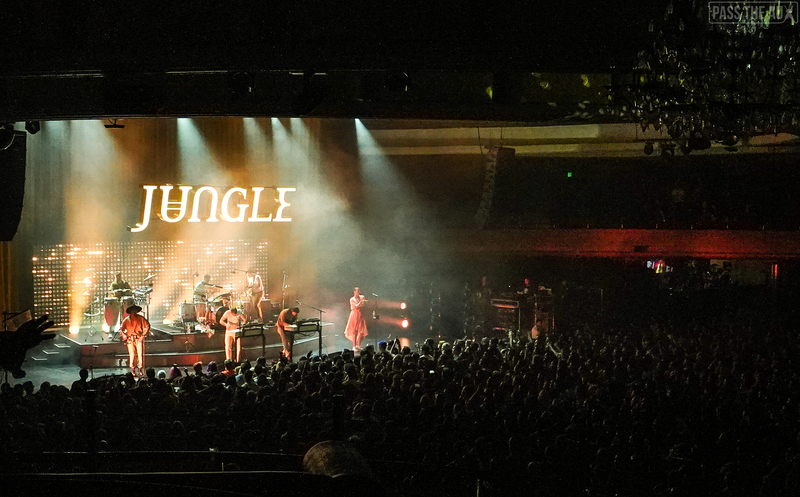 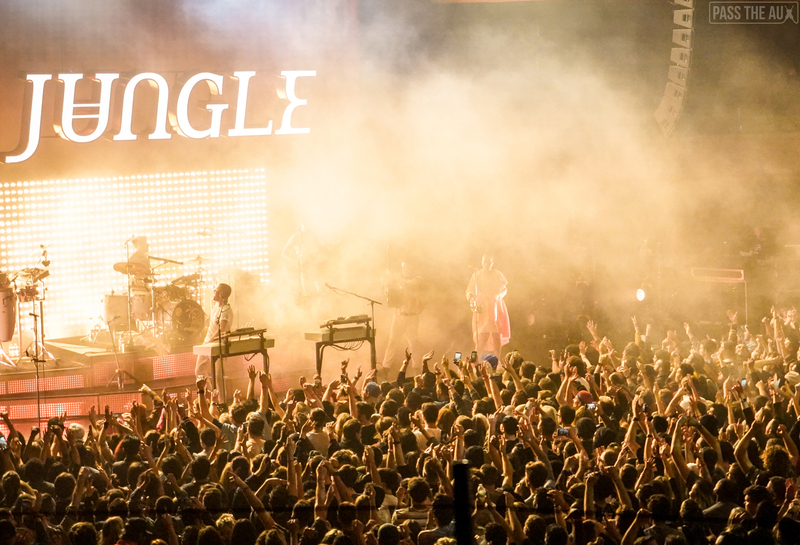 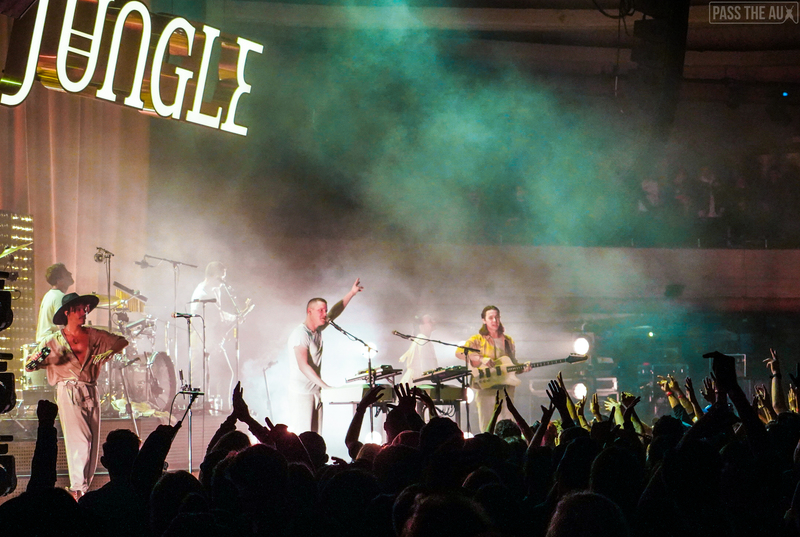 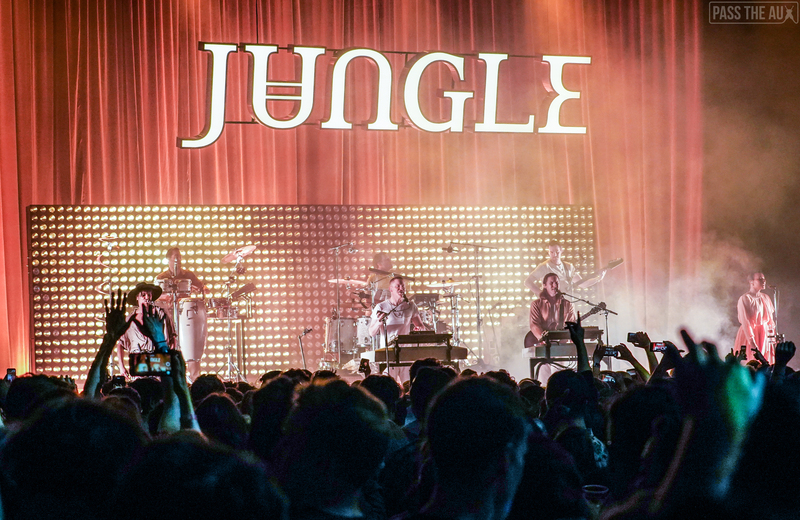 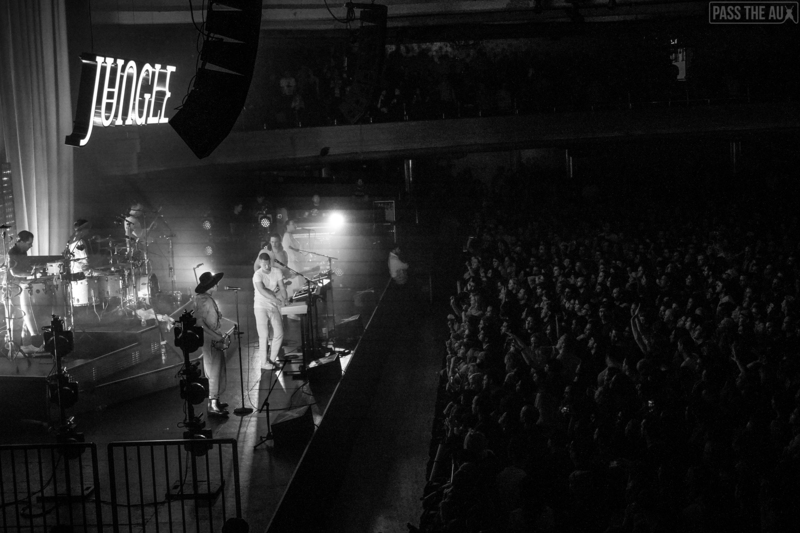 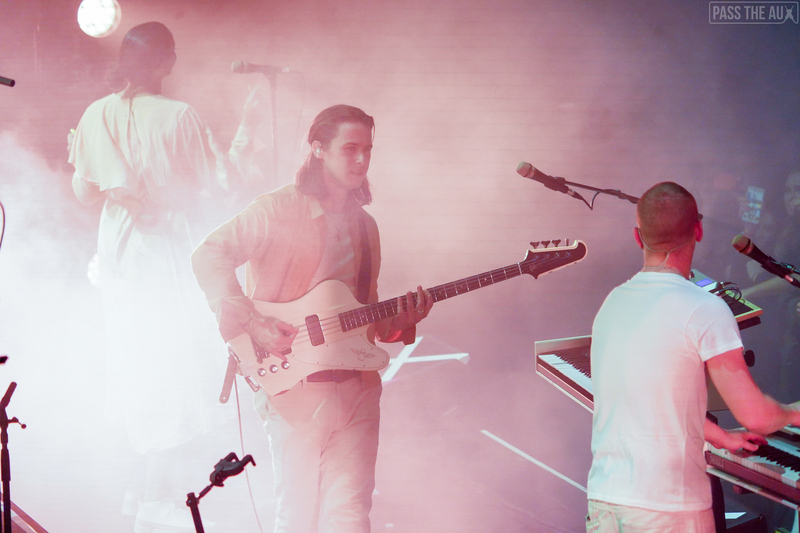 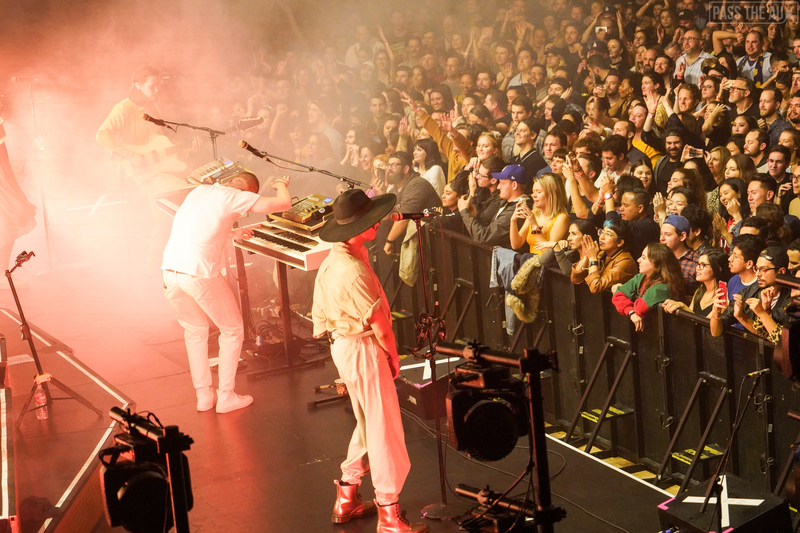 A duo when it comes to recording, Jungle brings a large band along when they play their songs on the road. 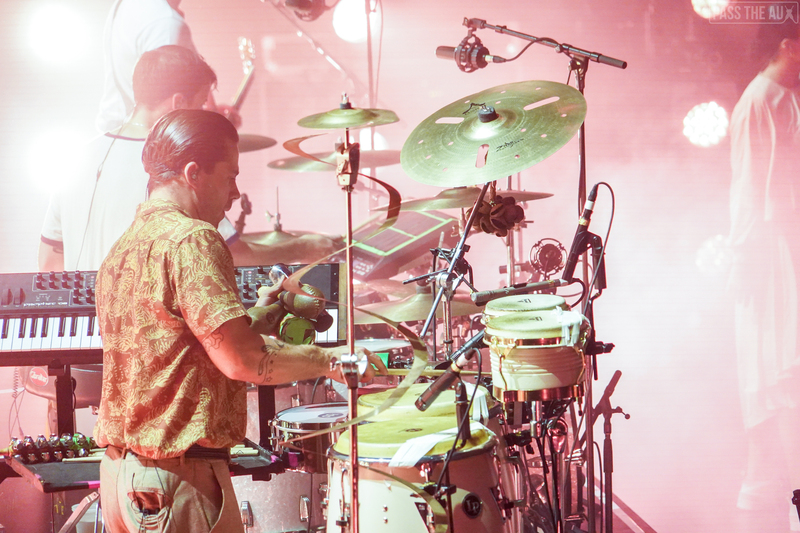 They’ve got a drummer and a percussionist, a bevy of talented backup vocalists, and the kind of falsetto that will get your blood pumping. 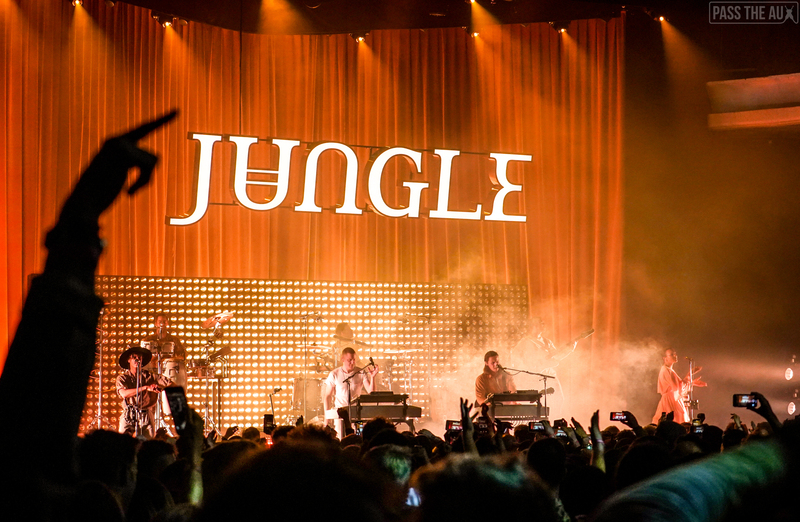 In fact, this is the kind of music I imagine our parents listened to while doing cocaine. 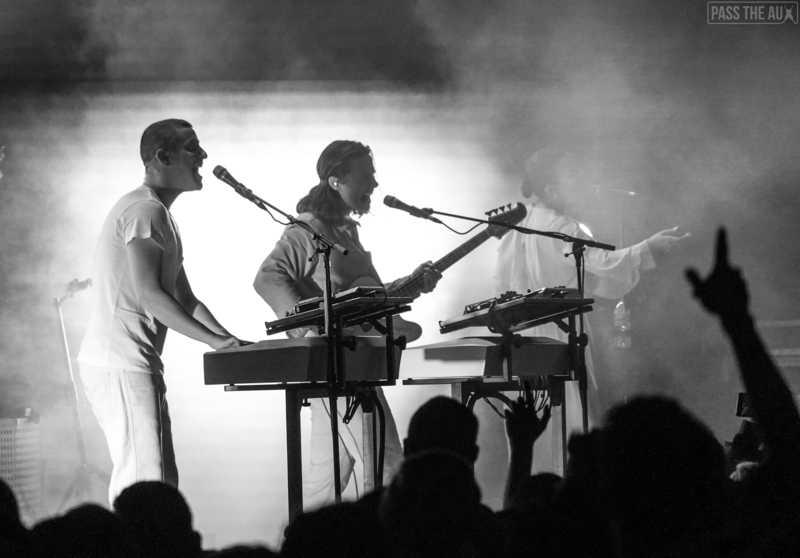 I got to see them twice in a matter of three days as they turned up at CRSSD Fest in San Diego that Sunday, and I’m glad I did. 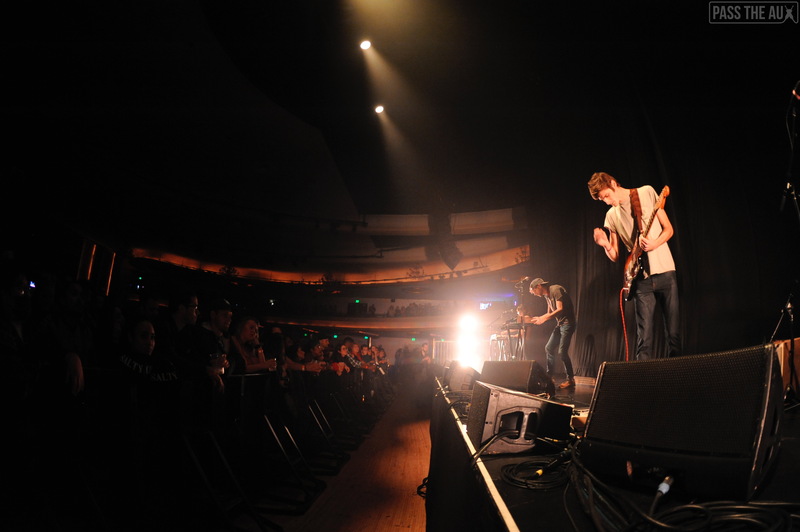 Check out Betsy Martinez‘s awesome photos of the show below.